played by the lord’s house. for the honorable title of lord. It’s a fierce battle where the dice will point out the winner. For msxdev10 we created this game! Download it now here ROM and Manual. Read more on the site of msxdev here. New website and the upcomming msxdev10 game DAQ Lord of Idar. But now a demo of a earlier DAQ game. It’s just a demo for the pc but the gfx are made in msx screen 4! A great co-op between Darkstone and Up-soft. A puzzle game that will stress you out! First game totaly created By Lord S.M.Zett with help from Medussa. This game is for msx2 and completely made whit the msx it self. Game created by Darkstone in 2006 for the msxdev06 contest. 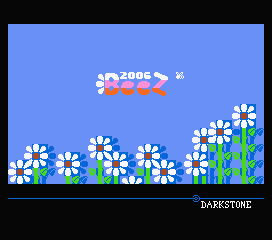 It’s a small game made totally in MSX-BASIC!